Steve anounced new Xserve G5 (2G or 2x2GHz), FinalCut Express 2, MS Office 2004, iLife '04 (iPhoto 4, iMovie 4, iDvd 4, iTune) and GarageBand, a new part of the iLife family. 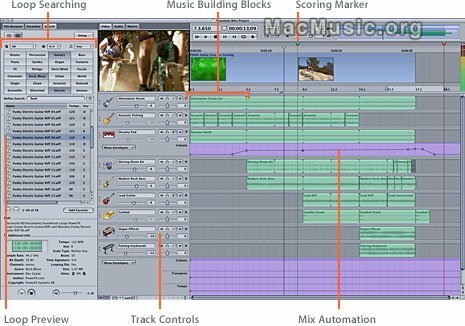 Jam Pack is an additionnal $99 pack for GarageBand adding more virtual instruments, loops, amplifier models and effects. Apple updated its low-end iPod model from 10G to 15G still prices at $299. Apple also introduced iPod Mini , a mini 4G iPod sized like a business card, featuring Firewire and USB2. iPod Mini will ship from february in multiple colors for $249. 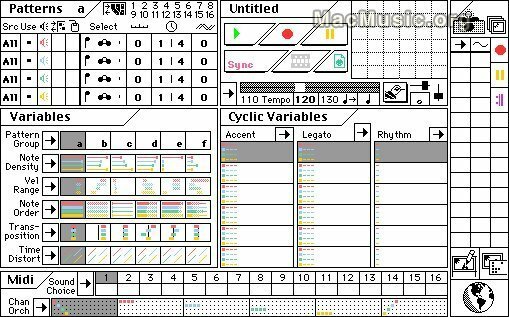 Here's the moment you've been waiting for: M, the algorithmic composition software developed by defunct Dr. T's and not seen by many since leg warmers were in fashion, is coming to OS X, courtesy Cycling `74. Okay, that's probably not the moment you've been waiting for, but if M is on OS X, I think we can safely say the OS X transition is coming to a close, and it'll be a chance for many to discover this delightful program. The moment you probably HAVE been waiting for: Pluggo for OS X, bringing with it the ability to create infinite plugins in Max/MSP and to load up your OS X plug-ins menu with an obscene number of odd (and useful) effects. California developer Cycling hasn't stopped there: there's also Sustained Encounters, the first Cycles audio library, plus Mode plug-ins announced at Messe. It's like Christmas for OS X audio. Enjoy. 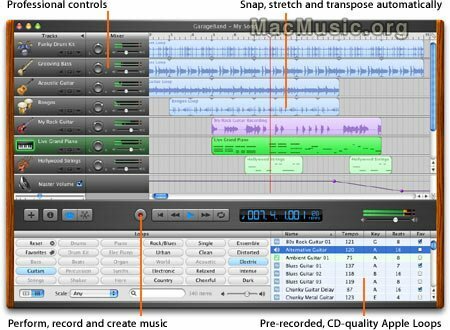 It's Macworld time again, so you know what that means -- an even bigger show for Mac music, the NAMM, is looming just around the corner. And this is going to be a NAMM of "Blasts from the Past" -- long awaited apps arriving on OS X. First up: Propellerheads' legendary (and still unequaled) app for chopping up beats for tempo warping, ReCycle. ReCycle should be a great companion to Reason on OS X, for newcomers who haven't discovered this software. Check the site below if you're already a user to join the public beta and get ready for more from NAMM. Also promised is a "Reason Education Pack" (I'll let you know what that is), and some "surprises." We'll be watching. Propellerheads Site Post a comment ?